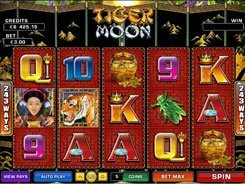 Online Slots Slots Games Directory Microgaming Thor Blimey! Thor Blimey! 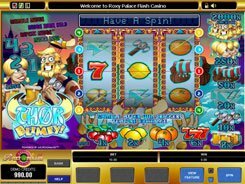 is a funny video slot based on Norse mythology and Thor’s adventures depicted in a tongue in cheek manner. 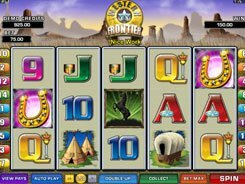 The game is played over 3 reels and 5 paylines, with a bet ranging from $0.25 to $25 per spin. The symbols are classic ones, including cherries, lemons, oranges and sevens. There are also themed icons like a Thor’s hammer, mugs of beer, Thor himself, etc. 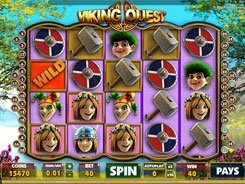 The first and second largest cash prizes are $10,000 and $1250 respectively; these are awarded for spinning in three Thor or three Blonde symbols on an active win line. 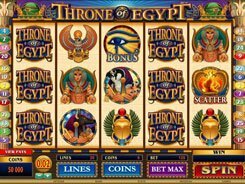 The slot boasts randomly offered Nudge and Hold features that come in handy at times like this when you are missing one symbol to create a winning combo. Besides, after a winning spin you can try to double your coin prize in a Gamble feature. If losing the gamble feature, you can use the remaining award to gain access to a bonus game played on the second screen. In that bonus feature you can hook instant cash, nudges and more special features. PLAY FOR REAL MONEY! slots similar to Thor Blimey!